Murder by Gaslight: Caught in the Act. Edward Newton Rowell and Johnson L Lynch had been neighbors in Utica, New York. Both were successful family men; Rowell a partner in a box manufacturing company and Lynch an attorney. In 1881, the firm of Palmer and Rowell relocated their offices and Newton Rowell moved with his wife and two children to Batavia, New York. Mrs. Rowell was a beautiful and flirtatious blonde, eight years younger than her husband. The gossip in Utica said that Mrs. Rowell was seeing other men behind her husband’s back; Johnson Lynch among them. Their affair did not end when the Rowells moved away. Newton Rowell suspected his wife of cheating and had a plan to catch her. In October 1883, Rowell told his wife that he would be going away on a business trip for several days. Mrs. Rowell wrote to Johnson Lynch, inviting him to the house in her husband’s absence. On October 30, after Rowell had left on his trip, his wife took the children to stay with a friend and went to the depot to meet the train carrying Johnson Lynch from Utica. She walked him to the house, where they had a pleasant dinner before going upstairs to the bedchamber. 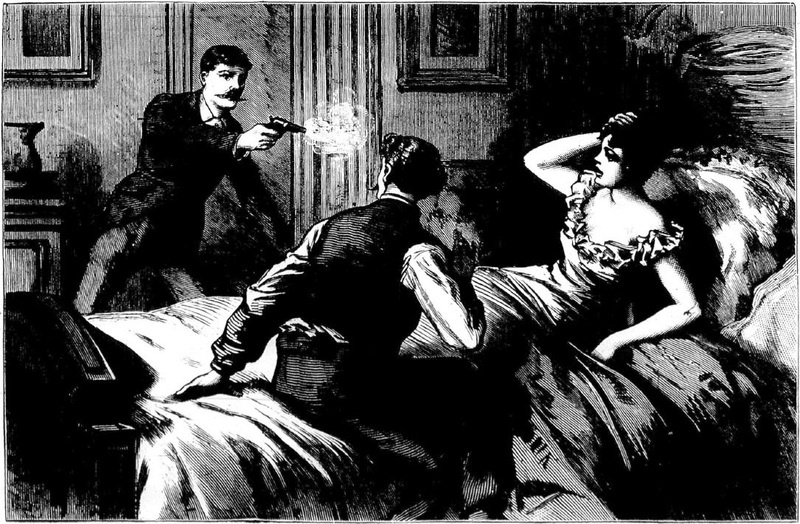 Soon after they had undressed and gotten into bed, the door burst open and Newton Rowell rushed into the room brandishing a revolver. Without a word be fired two shots into the bed—one went between the lovers, grazing Mrs. Rowell’s left temple, the other missed completely. Lynch jumped up and ran from the room with Rowell following close behind. Rowell fired two more shots as Lynch ran down the stairs. On shot went through his shoulder, the other went into his back, piercing his heart. Lynch was dead when he hit the foot of the stairs. Mrs. Rowell ran outside to the street and called for help. The neighbors heard her cries and came to help. The police and coroner arrived soon after, and Newton Rowell quietly accompanied them to jail. 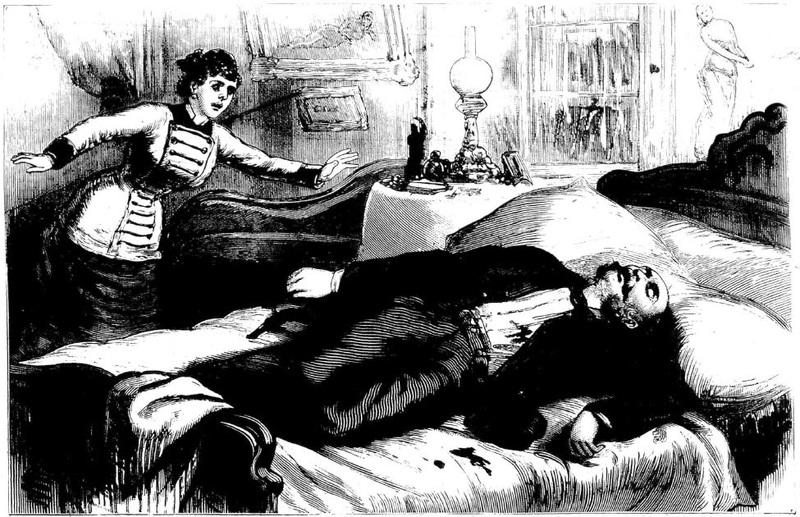 The murder of Johnson Lynch caused quite a stir in Batavia, but it was nothing compared to the trouble it caused in Utica. Lynch’s uncle, Arthur B. Johnson, was devastated by the murder of his nephew; he was quite fond of his young namesake, and no doubt had high hopes for his future. Arthur Johnson was an attorney, a high-ranking official in the Republican Party, and one of the richest men in Utica. 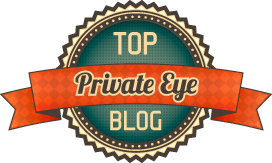 He was also a bit of a philanderer himself—though he had a wife and four children, fifty-five-year-old Arthur Johnson was having a long-term (and well-known) adulterous affair with his assistant, Miss Lena Bender. In spite of the trouble the murder of Johnson Lynch caused in Utica, the people of Batavia overwhelmingly sided with Newton Rowell, and believed his action had been justified. Though he had clearly acted with premeditation, setting a trap for his wife and her lover, Rowell was indicted for manslaughter, not first degree murder. 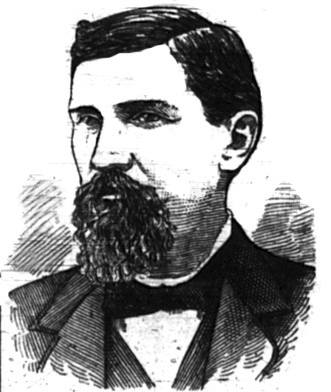 When his trial ended, on February 8, 1884, E. Newton Rowell was acquitted on the grounds of self-defense. The announcement of the verdict was received with great cheers in the courtroom, and that night citizens of Batavia celebrated with bonfires and fireworks. "A Husband's Revenge." San Francisco Chronicle 31 Oct 1883. "A Week's News." Grit 9 Feb 1884. "By His Own Hand." Augusta Chronicle 4 Nov 1883. "Caught in the Act." National Police Gazette 17 Nov 1883. "I've Done this Thing." National Police Gazette 24 Nov 1883.